Cooties Trailer: Elijah Woods Vs. Zombie Kids! Leigh Whannell has his horror card stacked for 2015. This summer, he will finally make his directorial debut with Insidious Chapter 3, a franchise he helped create. And then, in September, he'll unleash a terrifying experience unlike any that has come before it, with Cooties! This very scary (and very funny) expose on the often cliche world of the zombie apocalypse brings the undead to the playground, and we have the first trailer! 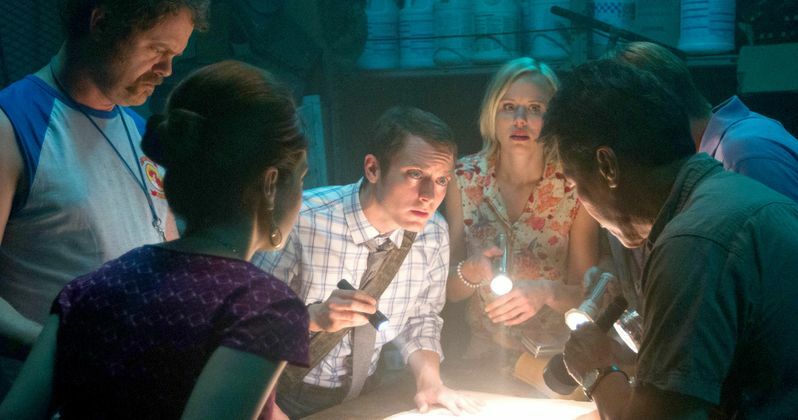 Cooties is a horror comedy with unexpected laughs and unapologetic thrills. When a cafeteria food virus turns elementary school children into little killer savages, a group of misfit teachers must band together to escape the playground carnage. The film stars Elijah Wood, Rainn Wilson, and Alison Pill as teachers who fight to survive the mayhem while hilariously bickering in an uncomfortable love triangle on the worst Monday of their lives. Lionsgate has just debuted the sneak peek for this pitch black comedy thriller, which Leigh Whannell co-created with Glee's Ian Brennan. The movie is directed by Jonathan Milott and Cary Murnion, with Daniel Noah, Josh C. Waller and Elijah Wood producing alongside Tove Christensen, Georgy Malkov and Steven Schneider. Cooties recently tore through the Stanley Film Festival to much acclaim. The rest of us will get to see it when it comes to select theaters and VOD on September 18.